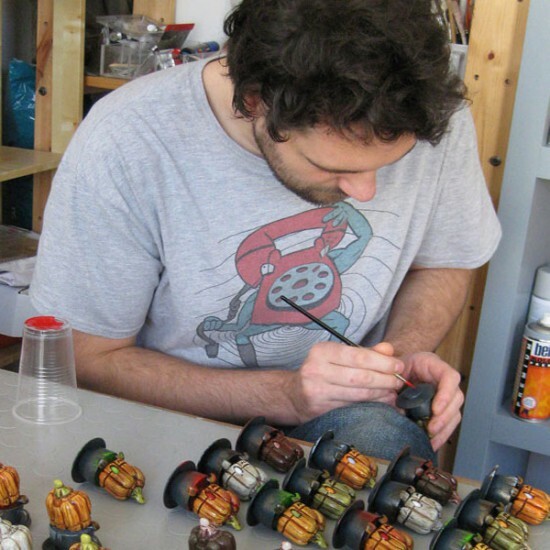 Matt Jones, founder of Lunartik.com, is best known within the Designer Toy Scene for designing and self-producing his own designer vinyl figures Lunartik in a Cup of Tea. Apart from enjoying the more artistic aspects of his work, he also manages overseas production with a passion for perfection and detail. Recently Matt has been involved with the UK brand Titan Merchandise, who together produce vinyl figure lines for many popular cult TV, Movie, Games licences including Breaking Bad, Dragon Age, Alien, The Beatles & the UK’s beloved Doctor Who. At the Academy, Matt lead a hands-on model making workshop, going through all stages from sculpting to molding and casting, to create limited edition art multiples.